Accessorize with this adorable butterfly necklace, perfect for the nature lover in your family! 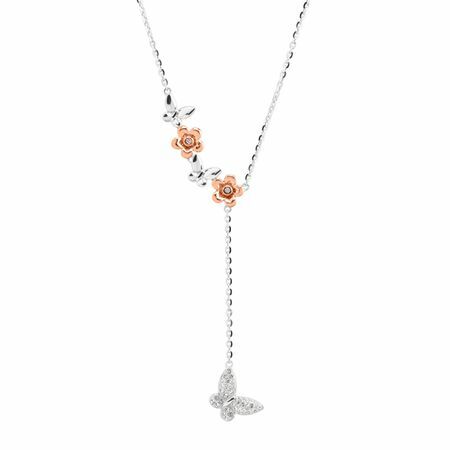 A lovely line of flowers and butterflies, crafted in sterling silver and rose gold plating, trail down to a lariat chain with a sparkling butterfly full of gleaming white Swarovski crystals. Feature piece measures 9/16 by 9/16 inches with a total length of 18 inches.